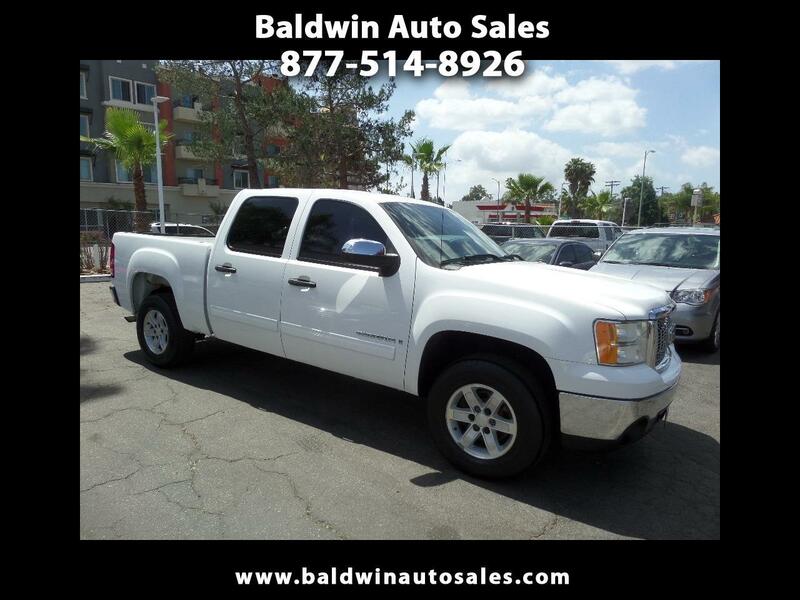 ALL RECORDS ALL NEW TIRES NEW BRAKES BRIGHT WHITE CREW CAB BEDLINDER SEATS 6 TOW PACKAGE ALLOYS BOOKS 2 KEYS ONLY 107K MILES!! ALL ORIGINAL CONDITION AND RUNS EXCELLENT AND SMOOTH RIDING ABS 2 KEYS AND FOBS/BOOKS This truck is ready to roll in the new front end GMC look. Nicely loaded with power options and tow package to pull your toys. Pride-of-ownership truck and very clean inside and out. A 5year/100k mile additional service contract is available and can be used at any GMC dealer nationwide. Must see this one priced well below the market and KBB for this excellent condition.